Melanin is a skin pigment, which is responsible for skin and hair color. Changes in cells that are known as melanocytes cause melanoma. These melanocytes usually begin as a change in an area such as a mole. Signs of Melanoma are Moles, Sores, lumps and or growths. Bleeding and or changes in skin pigmentation may also be signs. People who fall under these categories may have a higher risk of developing Melanoma. If your Physician thinks you may have skin cancer, a skin biopsy will be performed. The sample will be sent off to a lab for testing. If your Physician believes, you may have melanoma a sentinel lymph node biopsy may be performed to see if it has spread. Factors such as diagnosing the cancer early and areas affected determine the patient's outcome. After melanoma surgery, you may experience nausea, fatigue and pain. Conduct body exams for any new growths on a regular basis. See your doctor to have them exam your skin. Melanoma can return later in life. 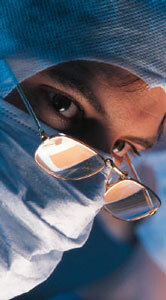 It is recommended that people under 40 be examined every three years while people over 40 be examined once a year. It is recommended that one should limit exposure to ultraviolet light. This can be done by wearing protective clothes, spf's with a factor of 15 or higher which block both uva and uvb rays. It is also recommended that one avoid s surfaces that reflect light such as water.